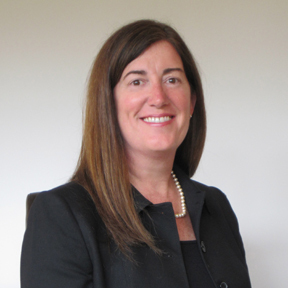 Suzanne McKenna, The McKenna Principals’ Founding Principal, has served as a senior advisor within both the Legislative and Executive branches and brings extensive subject matter expertise in the national security and homeland security arenas as a result of her work with the Departments of Defense and Homeland Security. Suzanne began her career as a practicing attorney admitted to the bar in the District of Columbia and the Commonwealth of Virginia. Her practice area focused on government procurement and small business law. Suzanne moved into the policy development arena working in the United States Senate for Senator John Glenn where she served as Senator Glenn’s senior advisor on national security and defense authorization matters, running the gamut of national security policy, procurement, operations and maintenance, research and development, personnel and base closure and realignment. Suzanne’s congressional experience also includes service in the U.S. House of Representatives, as Counsel for the Committee on Armed Services. Suzanne co-led numerous special projects on behalf of the Subcommittee on Oversight and Investigations, including the published reports Stand Up and Be Counted: The Continuing Challenge of Building the Iraqi Security Forces, Agency Stovepipes v. Strategic Agility: Lessons We Need to Learn from Provincial Reconstruction Teams in Iraq and Afghanistan, and Building Language Skills and Cultural Competencies in the Military: Bridging the Gap, for which Suzanne served as a principal author and planner. Suzanne’s Executive Branch experience includes a political appointment during the Clinton Administration to the Office of the Secretary of Defense as a Special Assistant and senior advisor to the Under Secretary for Personnel and Readiness and to the Deputy Secretary of Defense. Most recently, Suzanne led contract support efforts at the Department of Homeland Security’s Information Sharing and Collaboration Branch within the Office of Intelligence and Analysis to develop a Departmental Information Sharing Roadmap using the Quadrennial Homeland Security Review’s strategic framework. Suzanne earned a law degree at The National Law Center, George Washington University, Washington, DC and her undergraduate degree in Political Science at Providence College, Providence, RI.